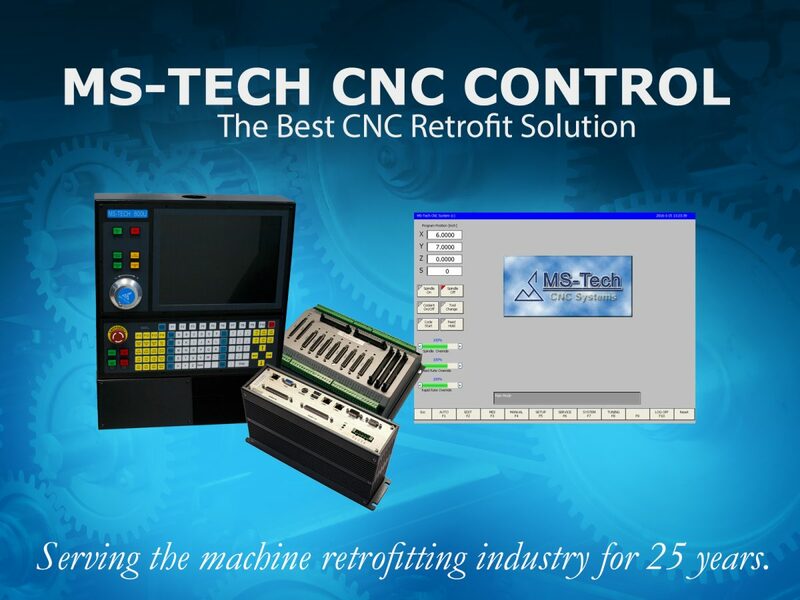 MS-Tech’s CNC control is a combination of state-of-the-art quality hardware and advanced software for CNC machines. Each component of MS-Tech’s hardware and software was designed for straight forward installation and user-friendly operation. As a result, MS-Tech’s Cincinnati VC Series CNC retrofit package contains both CNC and PLC components needed to make the CNC machine fully operational. MS-Tech CNC control sends +/- 10V command signals to servo and spindle drives, and accepts quadrature encoder-type signals for feedback. Typically, MS-Tech’s CNC system interfaces with existing motors and drives seamlessly, allowing you to replace the old CNC control while keeping the good motors and drives, to achieve a more efficient (in both time and money) retrofit process. In case your servo or spindle drive on the machine has problem, please contact MS-Tech for retrofit solution with new motors and drives. MS-Tech offers an optional, quick installation service for its CNC control package, designed to minimize machine downtime. Typically, two MS-Tech technicians can have a machine retrofitted and operational within 4 work days from arrival. For a quotation regarding our installation service, please contact us directly via phone, email, or eBay message. MS-Tech CNC is capable of doing complicated machining jobs with ease of operation and programming. Our user interface was designed to provide operators with the greatest convenience for day-to-day use — a typical operator can learn how to use MS-Tech’s CNC system within 20 minutes. A full PDF operator manual will be provided with the CNC package. A customer wrote to us: “As we bring in additional employees and more people interact with the MS-Tech controls, the feedback is always very positive and everyone remarks how easy and user-friendly the controls are to use”. Servo drives and motors are not included in MS-Tech’s listed price. 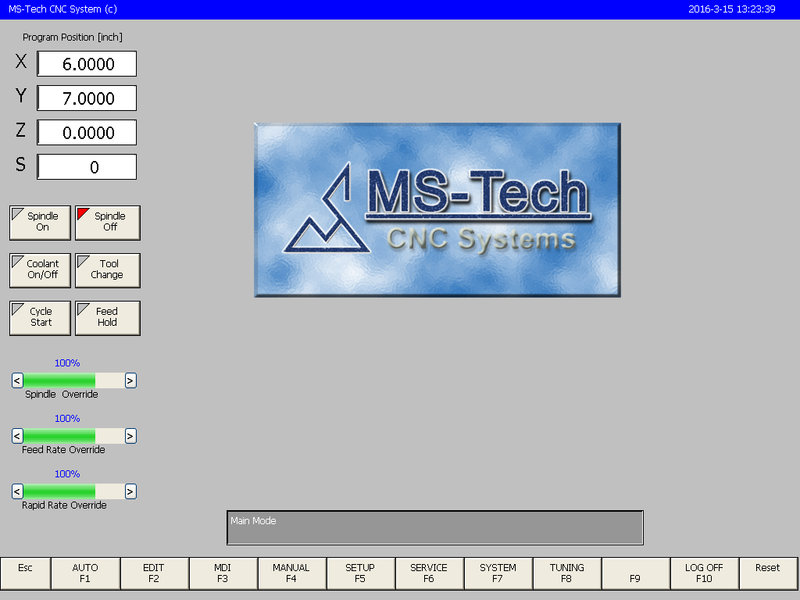 MS-Tech’s CNC control system can interface directly with your pre-existing motors and drives for most of the Cincinnati VC model number machines. 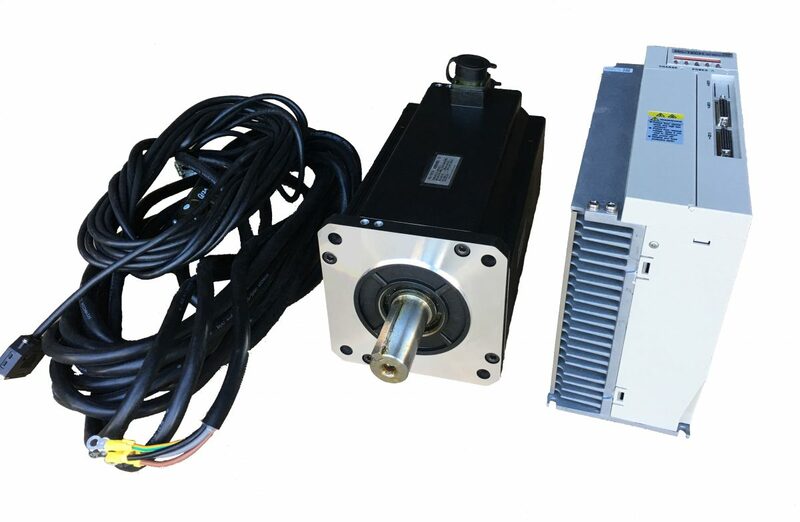 However, new MS-Tech servo motors and drives can be ordered to prevent issues from outdated and worn drives, as well as save time by directly interfacing with MS-Tech’s CNC solutions. Please contact MS-Tech for pricing and delivery information. The following parts list covers the basic components included in each MS-Tech CNC control retrofit package. Our engineers customize each package for your specific machine, so final parts list may include additional items. A closed unit ready for being installed in front of a machine. The OPU consists of a built-in 15" LCD color display, an MDI input device, a manual pulse generator, and pushbuttons of Emergency-Stop, Cycle-Start, Feed-Hold, etc. A self-cooling, highly-reliable, industrial-grade motion control computer with a solid-state hard drive, built-in PLC, etc. It is a control signal connection unit for connecting to/from OPU, MCU, servo drives, spindle drive, relays, and magnetic contactors. It has built-in optically-isolated home switch inputs, limit switch inputs, general purpose inputs and outputs. For supplying power to OPU, MCU, and SCU. To be attached to the bottom of the OPU. 9 1 One set of I/O modules for DC inputs, AC outputs, DC outputs. The actual types and quantities are depending on the machine to be retrofitted. MS-Tech willmakesure to ship enough I/O modules. Pre-installed in the MCU for your specific type machine. 11 1 One set of customized machine data files. MS-Tech will install the right machine data files for the type of the machine you ordered.